1.In Dutch oven or large saucepot, add brisket and seasoning packet; add enough cold water to cover. Heat to boiling over high heat; reduce heat to low. Add onion; cover and cook 3 hours. 2.Add potatoes, carrots and cabbage; cook 30 minutes or until vegetables are tender. 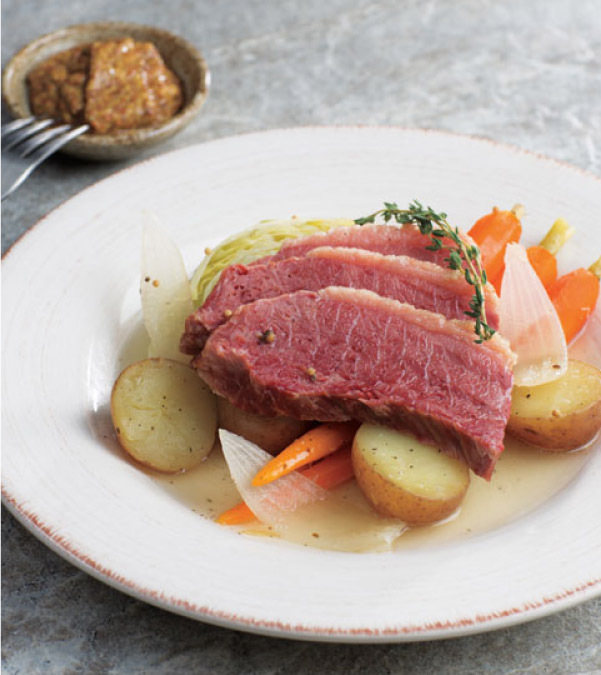 3.To serve, slice corned beef across the grain; serve with vegetables and mustard, if desired. > Try using rainbow heirloom carrots for additional color.